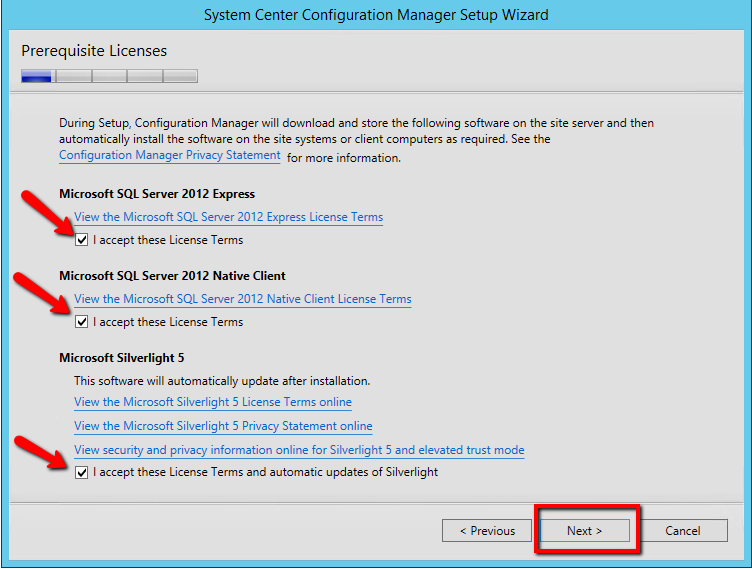 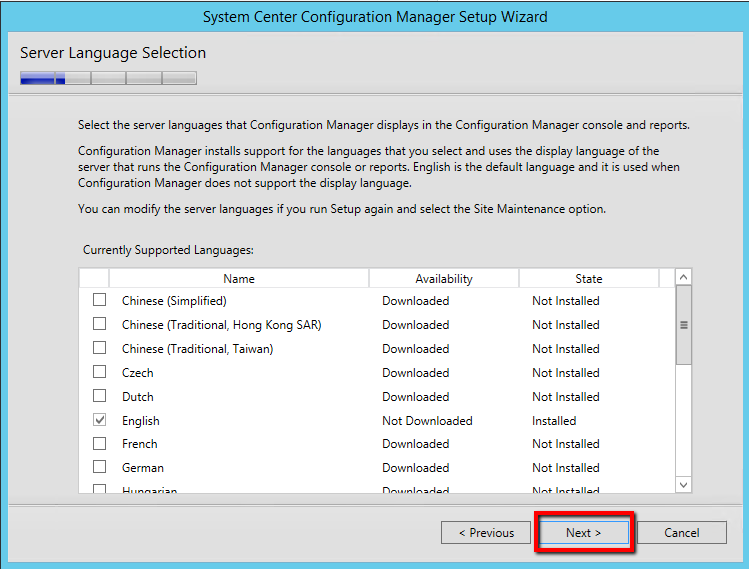 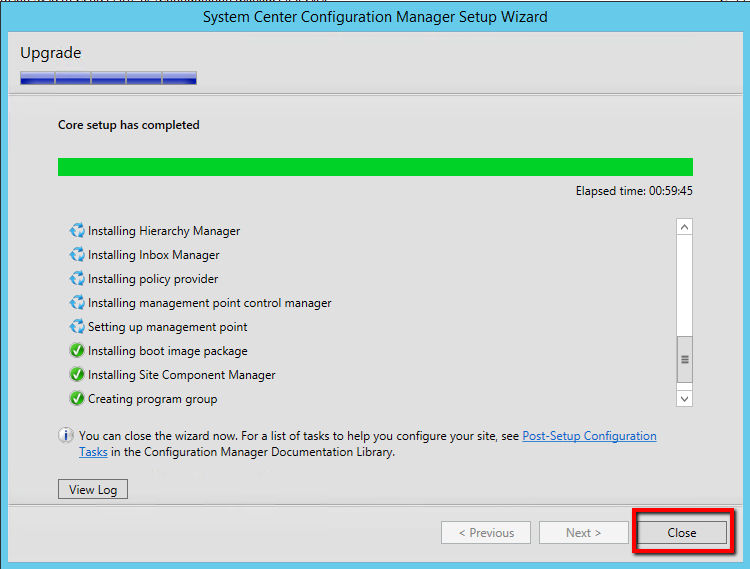 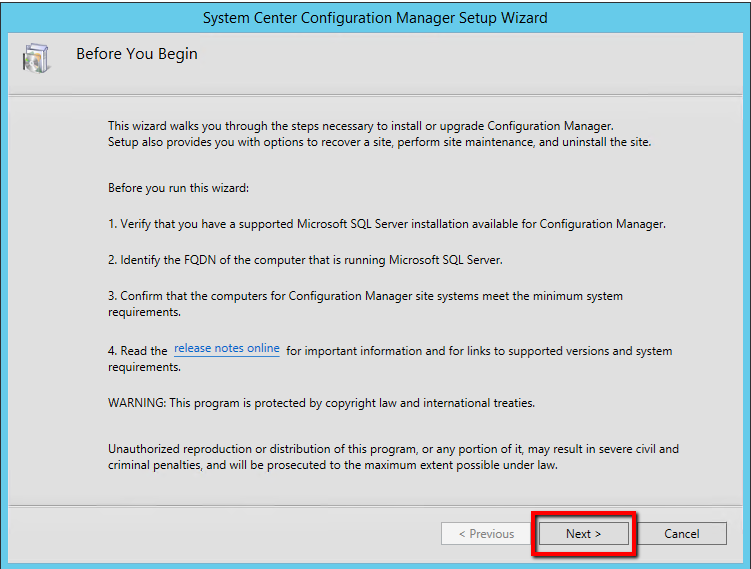 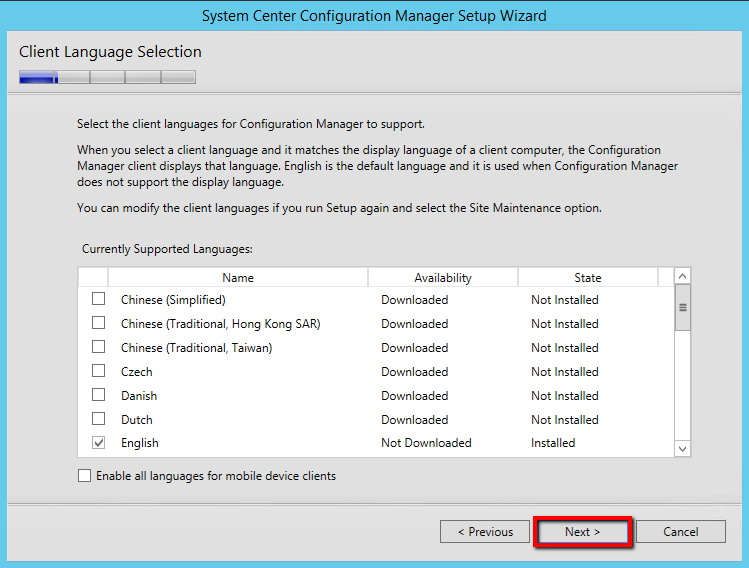 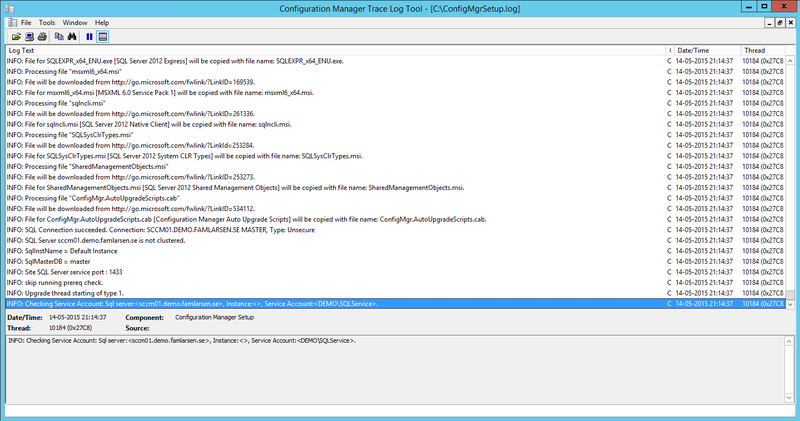 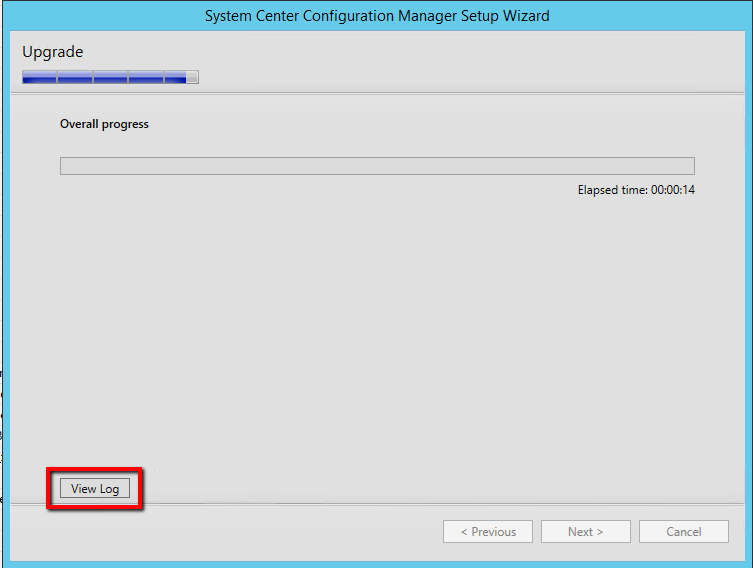 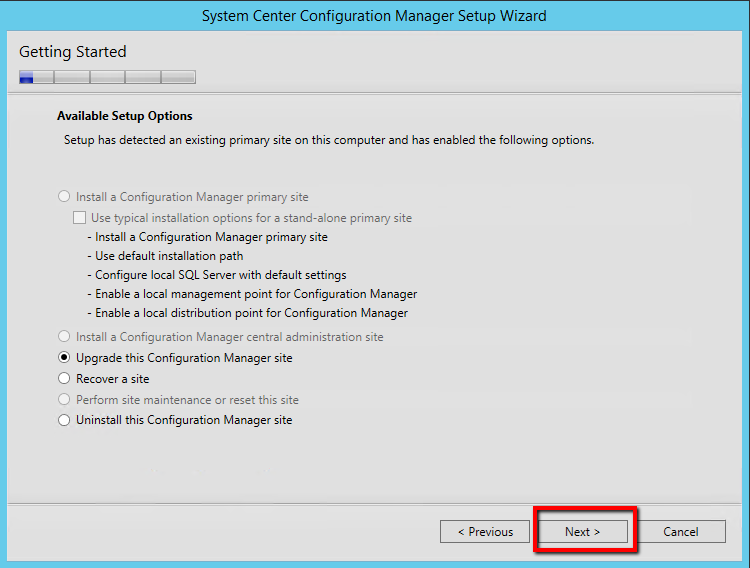 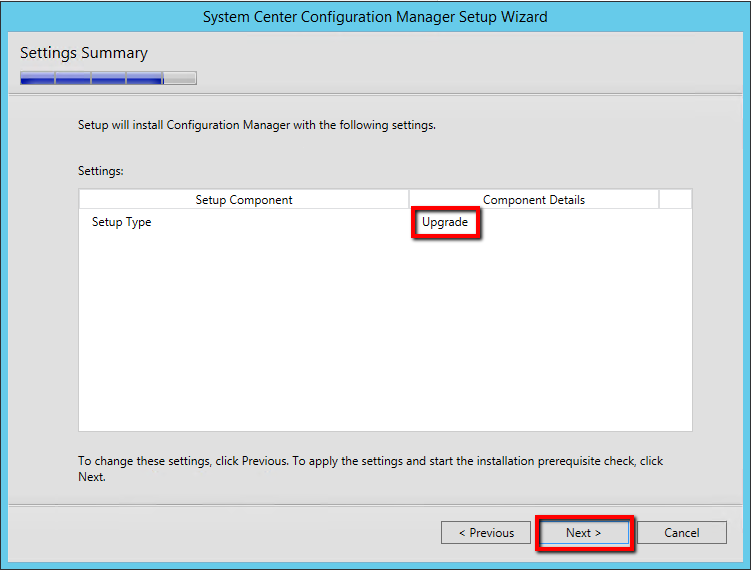 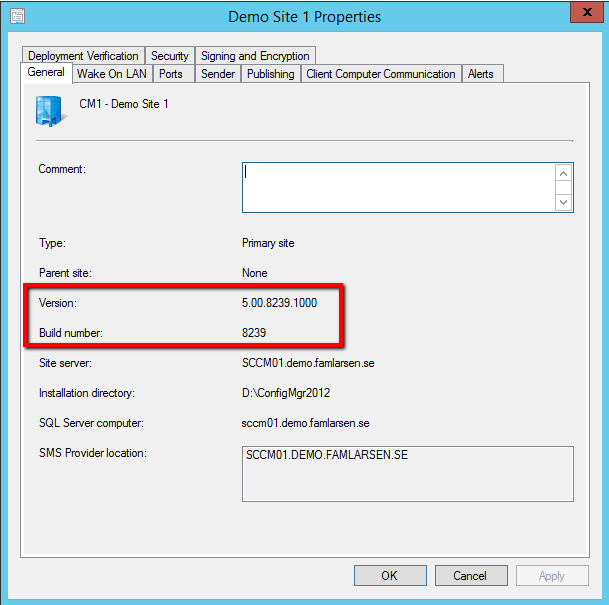 Microsoft has released SP1 to SCCM 2012 R2 – see this article : http://blogs.technet.com/b/configmgrteam/archive/2015/05/14/announcing-the-availability-of-sysctr-2012-r2-configmgr-sp1-and-sysctr-2012-configmgr-sp2.aspx Download from: https://www.microsoft.com/en-us/evalcenter/evaluate-system-center-2012-r2-configuration-manager-and-endpoint-protection Take a backup of your SCCM enviroment before upgrading. 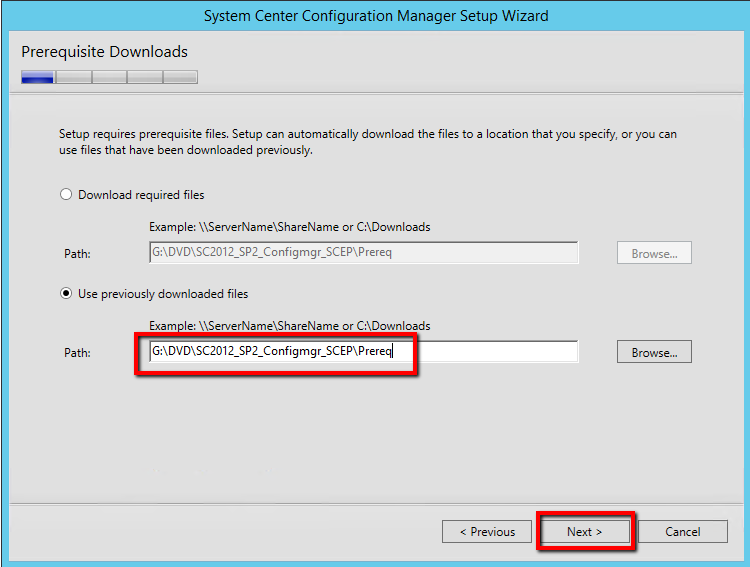 Extract the downloaded file – SC2012_SP2_Configmgr_SCEP.exe Run the .\SC2012_SP2_Configmgr_SCEP\SMSSETUP\BIN\X64\setupdl.exe for downloading the prereq files. 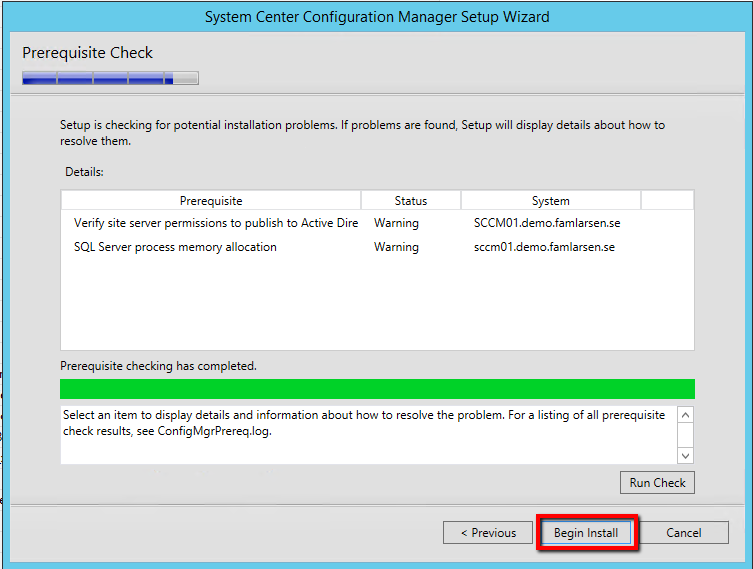 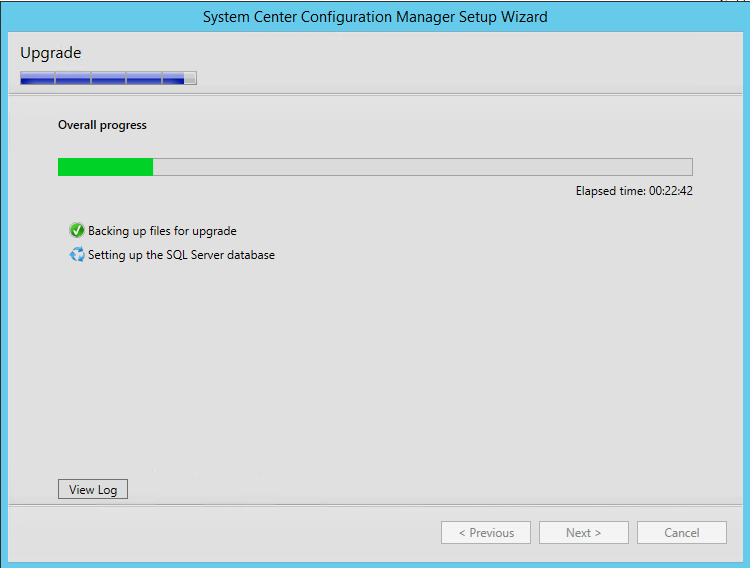 After downloading the prereq files your ready to upgrade the SCCM enviroment. 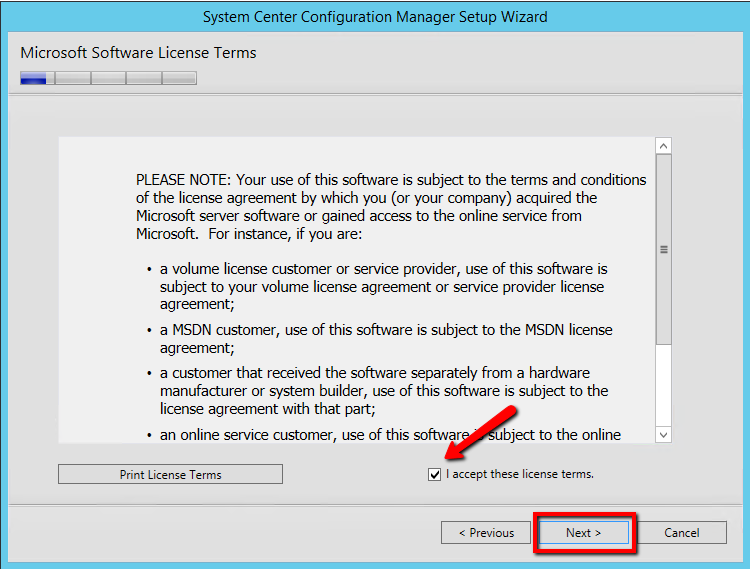 Start the .\SC2012_SP2_Configmgr_SCEP\splash.hta as an administrator Click install Click Next Click Next Click “I accept these license terms” Click next Accept all 3 license Terms Click Next Enter the download place for the previous downloaded prereq Click Next Click Next Click Next Click Next Click Next Click “Begin Install” Click view log to show what happens in the bagground Close the log file Click close after end installation And now the SCCM site has version 5.00.8239.1000 – and are ready for SCCM client upgrade. 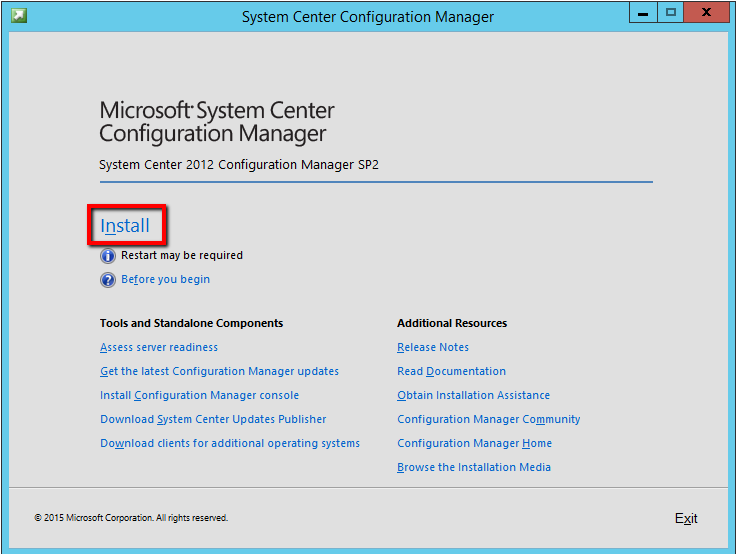 Worked out exactly as posted here, Just follow the install notes and you will be fine.